No need to worry about a messy countertop! The Handle Lock, locks the lid into place for mess free cooking and added peace of mind. Cook evenly with ease. 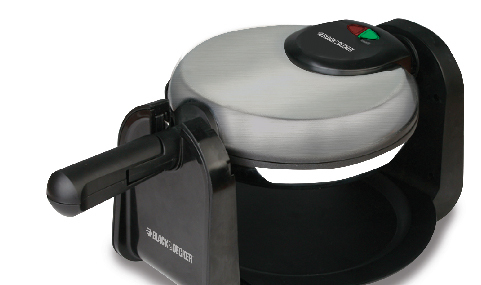 The Rotate and Cook system ensures even heat for great tasting waffles with just the flip of the handle. Safe and easy handling is right at your fingertips with the Cool-Touch Handle for added peace of mind. Belgian Flip Waffle Maker is rated 2.4 out of 5 by 5. Rated 5 out of 5 by YumWaffles from The Best Waffles! Great Waffle Maker! Took it to my cabin and used it all weekend. I ended up leaving it up there and purchasing another one for my house. The waffles come out perfect every time! Rated 1 out of 5 by CJCTX from Broken after a few uses The handle on this waffle maker is very poorly made--cheap plastic parts. The handle starting breaking after only a few uses, and completely broke off after less than a dozen uses. Not fixable. Don't waste your money. Rated 1 out of 5 by Staci from Not worth the $ We bought this waffle maker and used it 3 times. The handle broke during the third use. The screw popped out of the handle. We screwed it back it but it will not stay, it keeps popping back out. 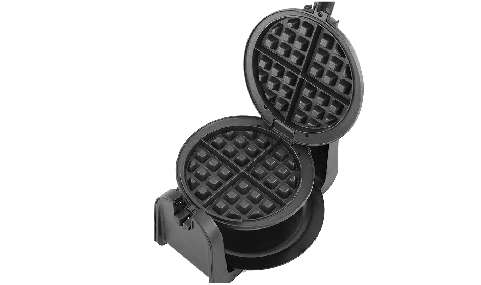 Save your money and buy a waffle maker that is more durable and with better quality. Rated 1 out of 5 by HatesWaffleMaker from Poor quality After using this twice, the top will no longer close, so the waffles won't cook all the way through.